Painting is 20” x 14”. Signed lower right. Watercolor/gouache on paper. Purchased at an estate sale. No COA. Thank you for your request. The presented object is a watercolor with the measurements of 24 x 20 inches. It depicts a scene from a horse race with two men with a cylinder in the foreground. This watercolor is signed in pencil with the name "Raoul Dufy". The famous French artist Raoul DUFY (1877-1953) depicted many of these horse racing scenes in fast and trained brushstrokes. 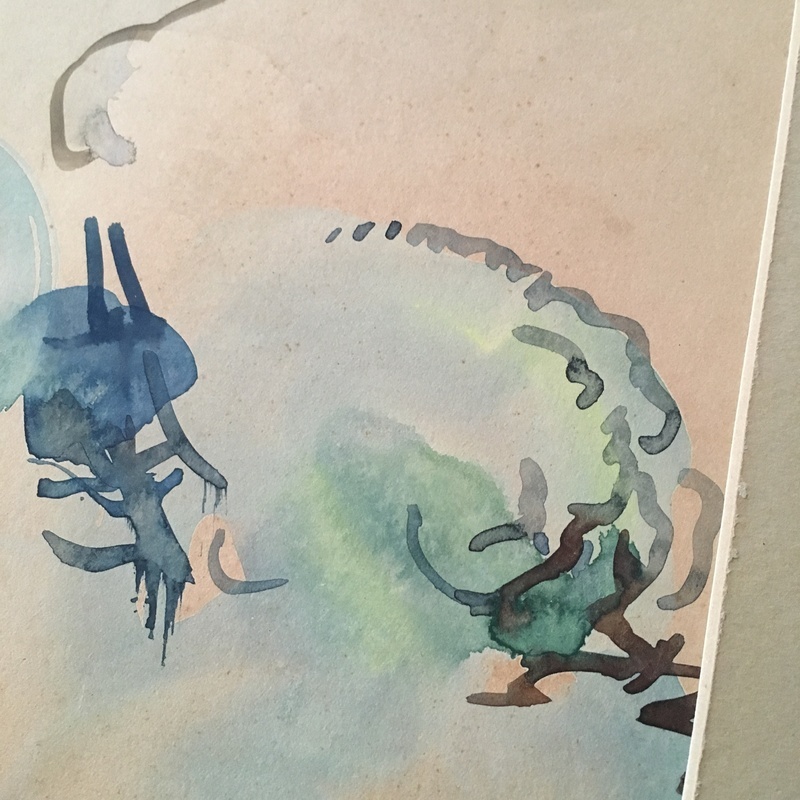 This watercolor has some weaknesses in the depiction of the horses for example. A watercolor like this needs to be authenticated by the author of the catalogue raisonné or a foundation. An base auction estimation for this drawing, if it is authenticated, would be between 20.000 to 40.000 USD. This valuation does not serve as an authentication of this artwork. Can you recommend an authenticator in my area? I’m near Baltimore, Md. Sadly I can't recommend any authenticator in your area. Ask an international operation auction house or a museum which includes and drawing and print department.